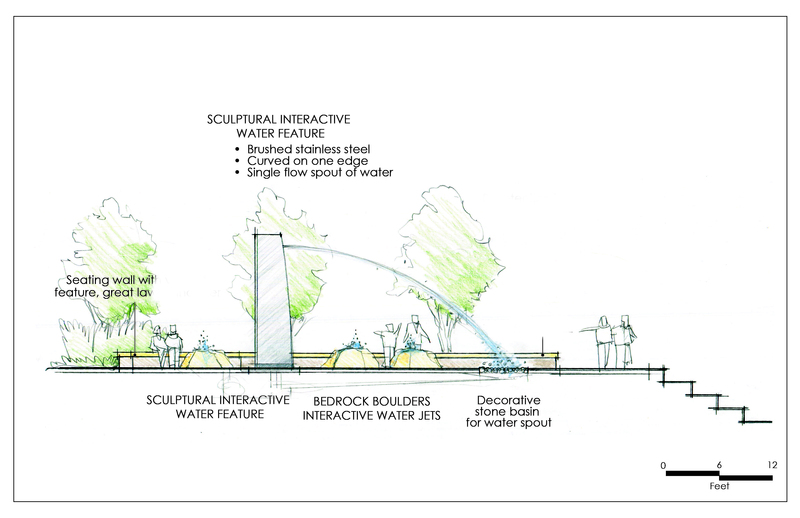 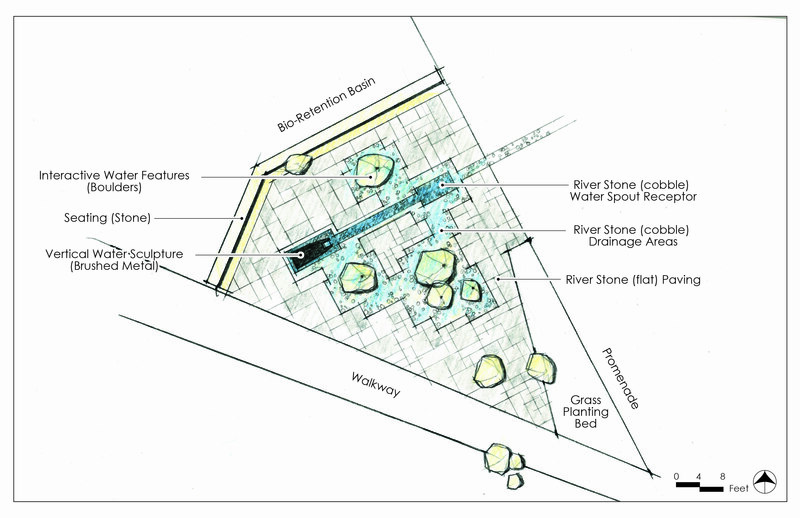 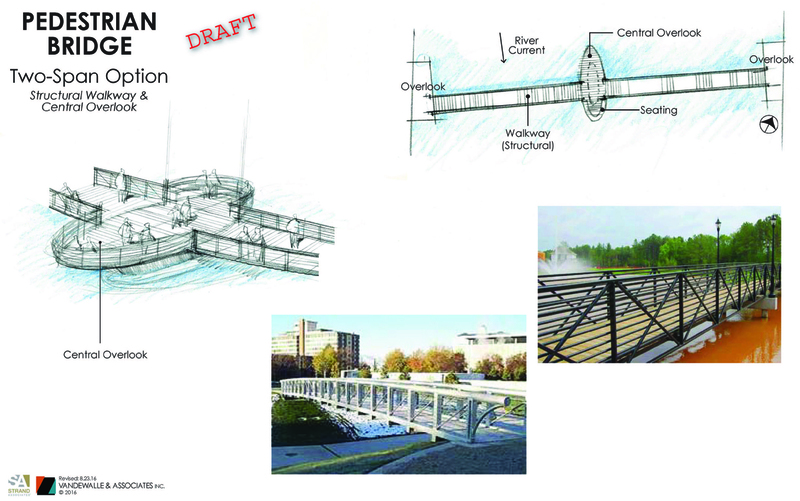 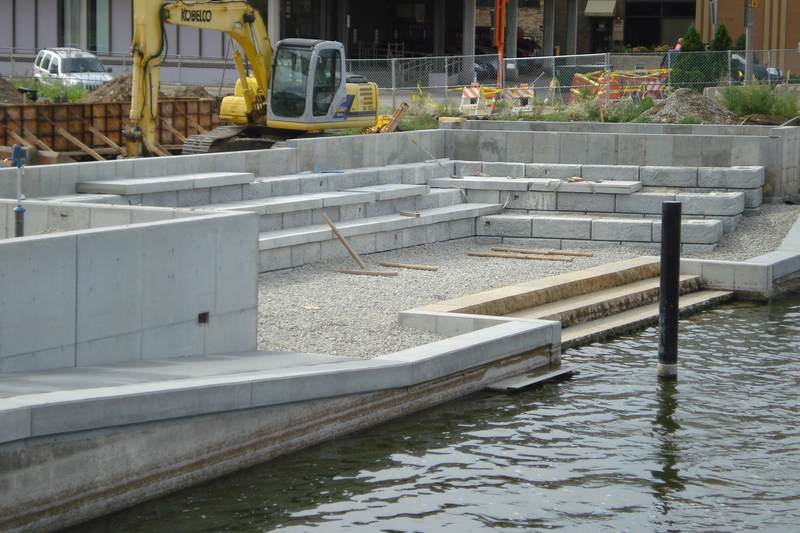 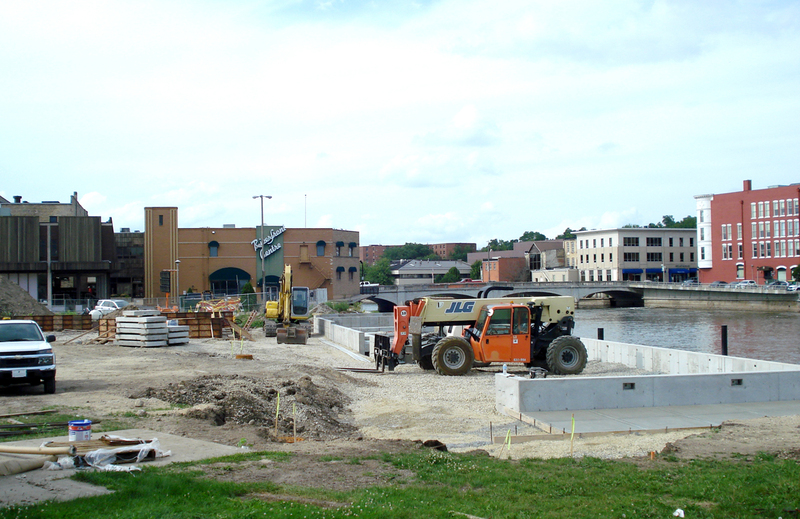 Janesville Riverfront Redevelopment & Town Square | Vandewalle & Associates, Inc. 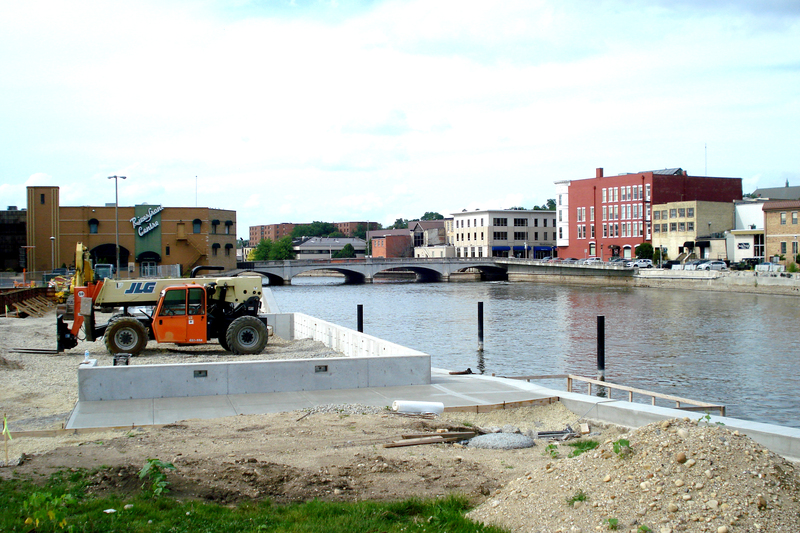 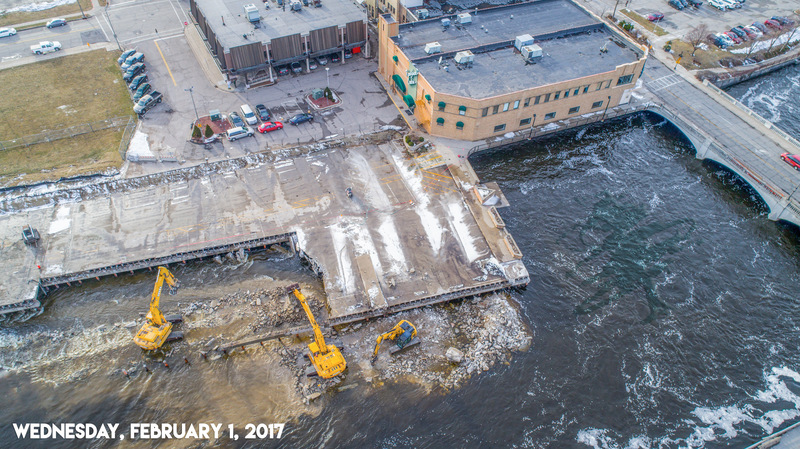 In 2015 City of Janesville completed a two-year planning process working with Vandewalle & Associates to revitalize the downtown. 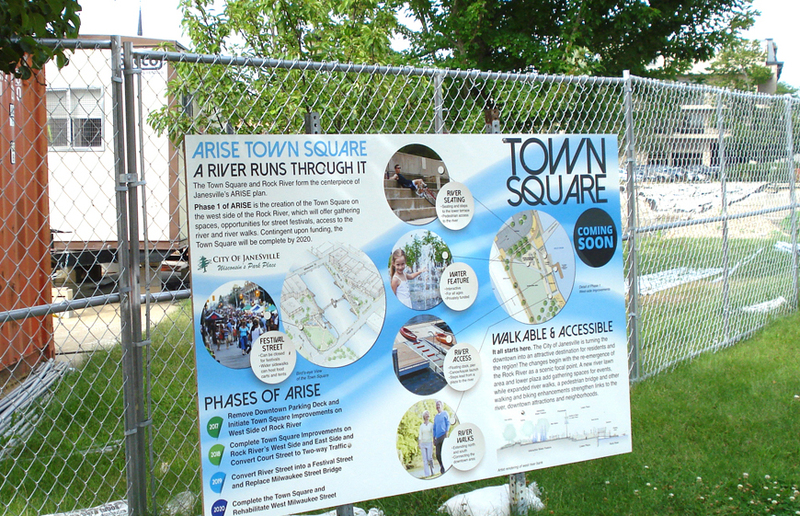 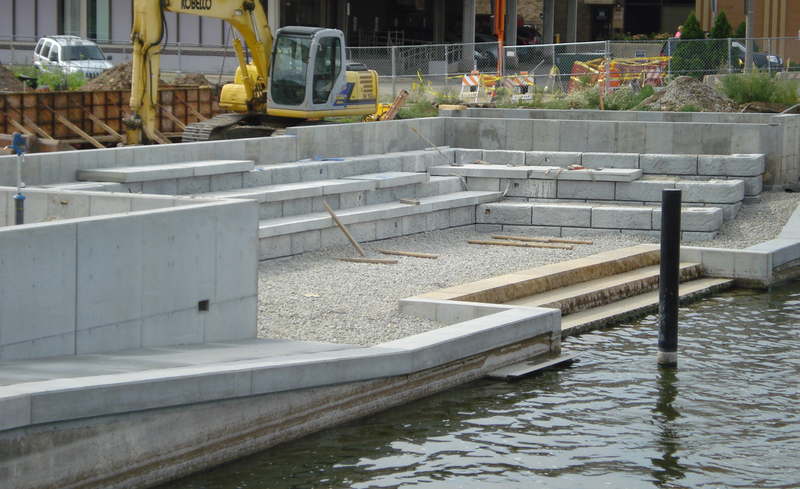 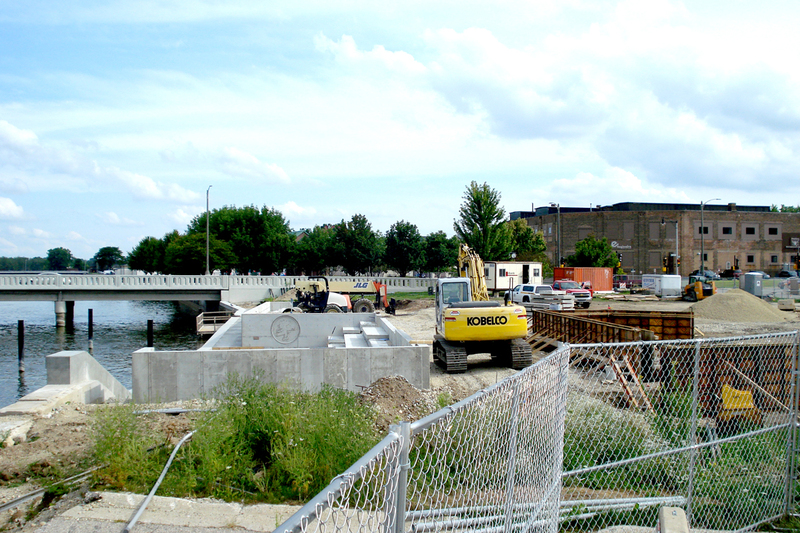 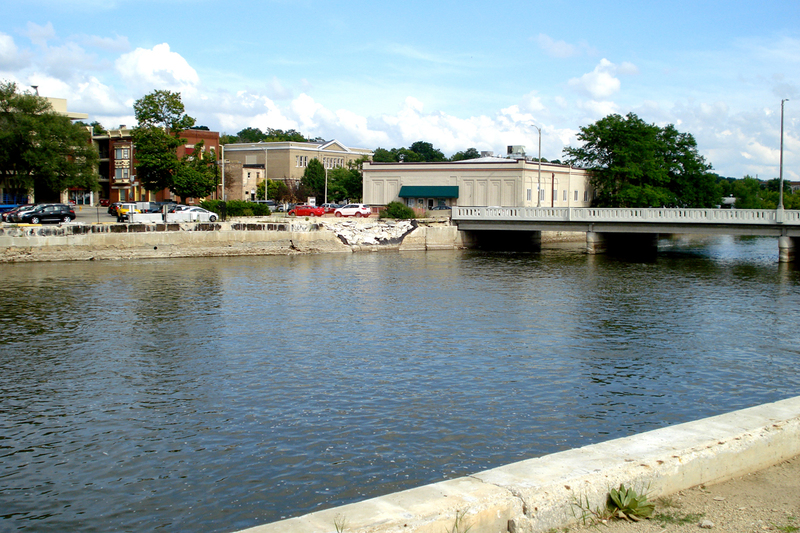 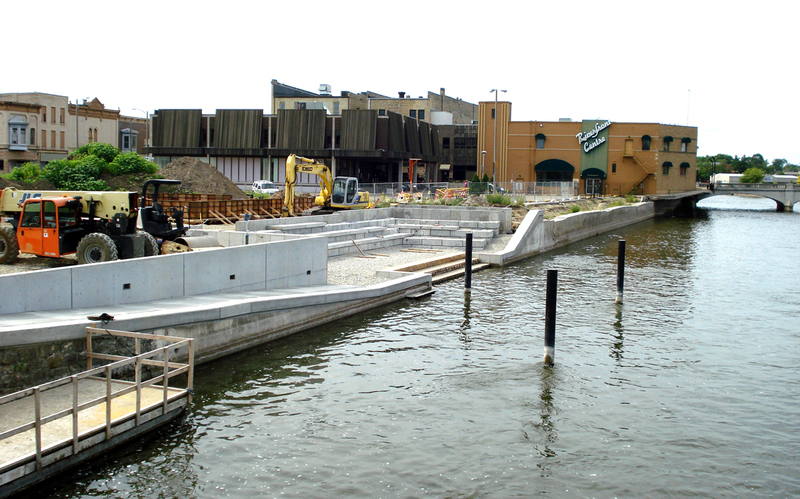 The ARISE Rock Renaissance Redevelopment and Implementation Strategy laid out a number of redevelopment projects including Main Street Riverfront, Festival Ground area and Traxler Park expansion, Milwaukee Street Commercial, Riverfront Housing, Downtown Campus/Neighborhood Area, and the centerpiece of the riverfront revitalization: Janesville’s new Town Square. 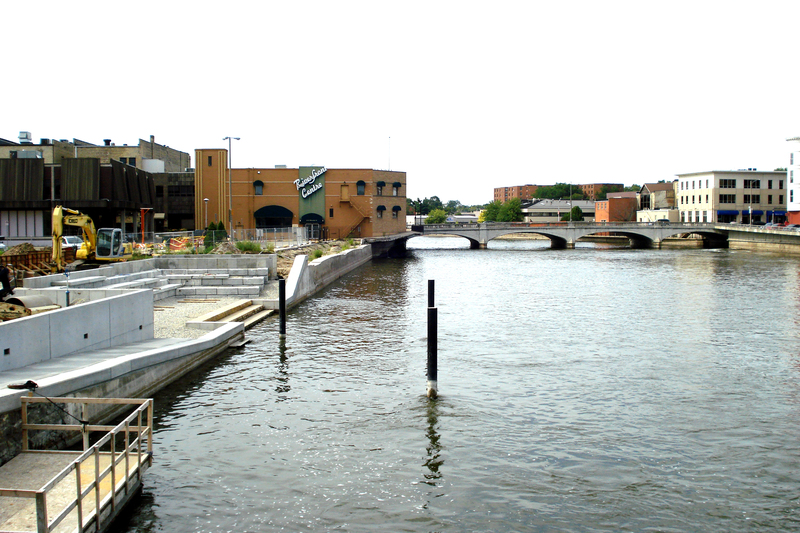 The Town Square is designed to be a catalyst for the other redevelopment and revitalization efforts, bringing the focus of Downtown Janesville back to the Rock River. 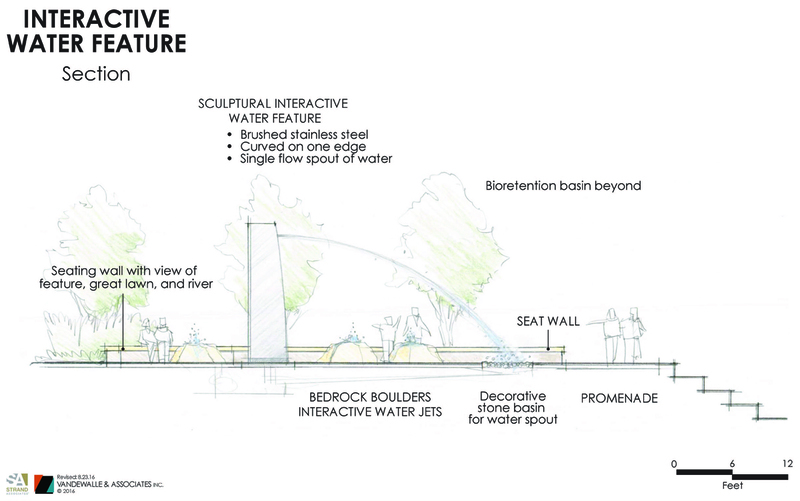 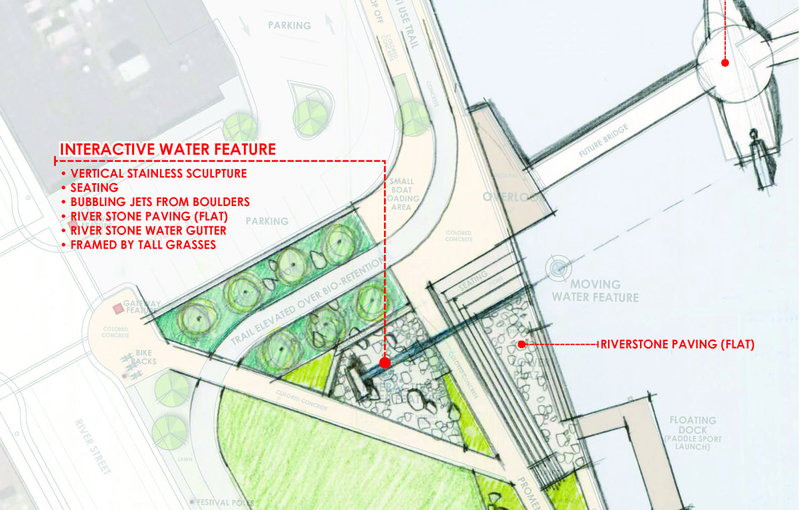 Beginning with removal of a 1960s-era parking plaza spanning the River, the new Town Square includes a new great lawn, a central river feature, gathering spaces for events, interactive water feature, an expanded riverwalk, new pedestrian bridge, and other walking and biking enhancements. 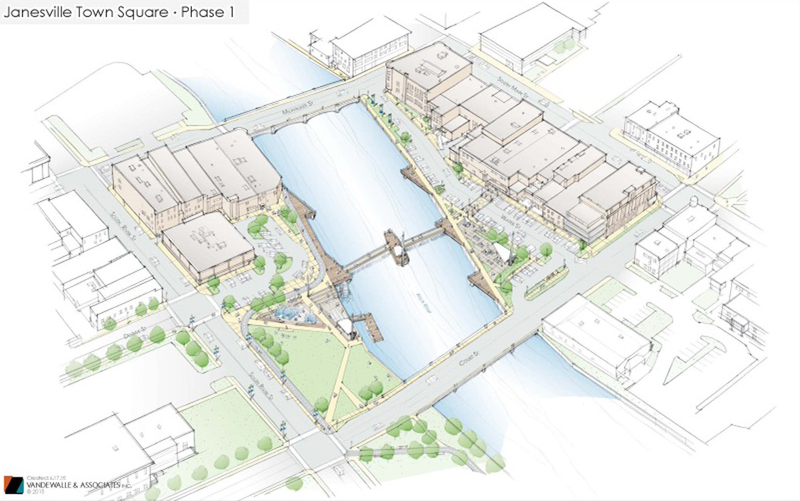 Plans include new river-facing enhancements to historic buildings and mixed-use infill attractive to new retail, restaurants, residents and visitors. 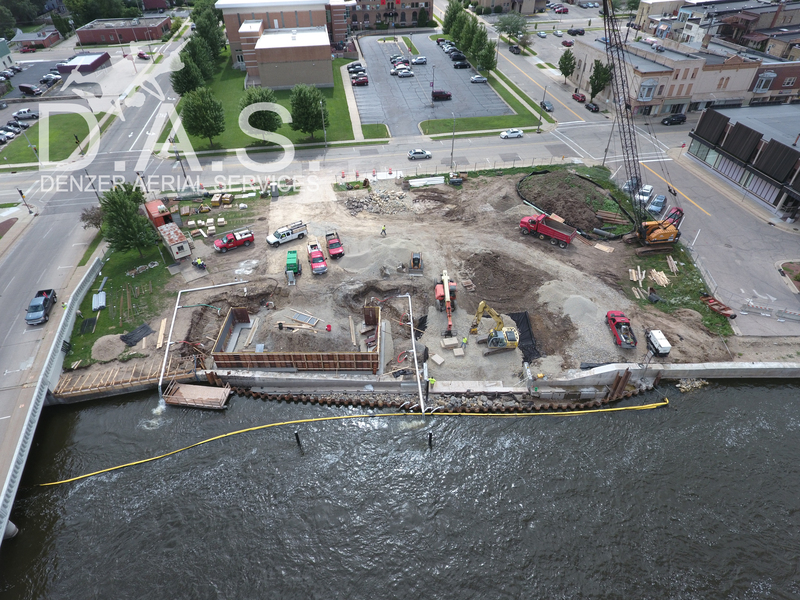 Ample new parking replaces and augments the former parking structure that once spanned the river. 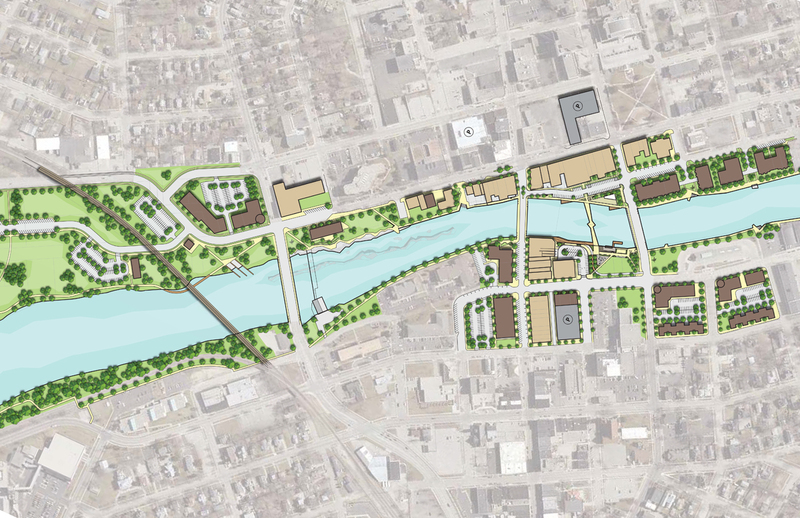 Reworked two-way streets in the riverfront area are designed to be more pedestrian friendly.